Jumped down from my cat tree & ran across the living room to the TV. I love the TV. I gotta' watch things move. Now I'm lookin' over my shoulder to watch those things called cars comin' at me. 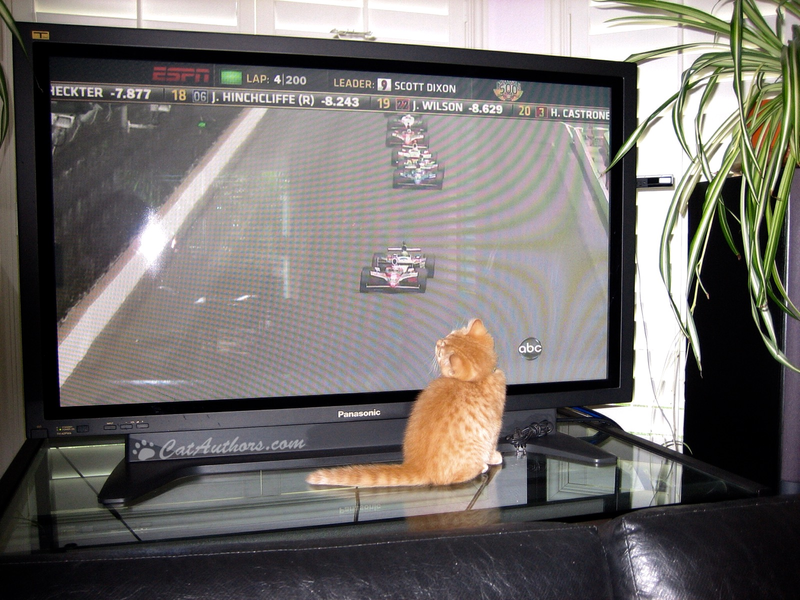 Meowmuh says it's May 29, 2011--the morning of the Indianapolis 500 -- a big car race that lots of hoomans watch. They gather together in what they call 'crowds.' The 'crowd' wants to see which hooman drives the car-thingie the fastest. And, trust me, they're movin' mighty fast!